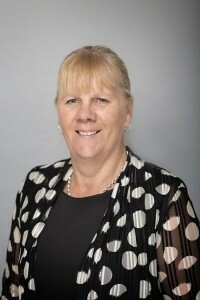 Janice has been with the firm since 1987 and has day to day responsibility for office management. Janice has a very active life outside work. She is a netball bench official with time-keeping and scoring and statistical responsibilities. She has officiated at 2 World Netball Games. Other interests include Rock and Roll dancing and marching. She is a Life member of Matamata Netball. Any spare time can usually be guaranteed to find Janice looking after or supporting her 7 grandchildren, most of whom live locally.